How much do you deadlift? 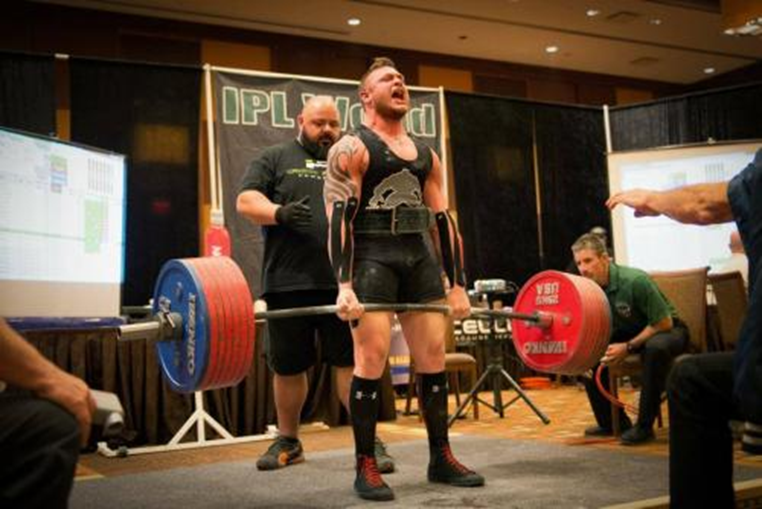 Regardless of whether it’s 400 or 700-pounds the answer that burns in the heart of every lifter is, “not enough.” It took six years of consistent lifting, nearly four of which dedicated specifically to powerlifting, to reach a 600 pull in competition at the 165-lb./75 kg weight class; and it’s still not enough. Just a week later I pulled 605 in the gym. Still not enough. We continue to inch ever forward on our lifts and it seems the deadlift is either most hated or cherished. Some marry themselves to the lift while others have divorced themselves from it. The key to success with the deadlift is identifying how it can be trained more enjoyably, effectively, and sustainably. Thereby seeing that incremental progress we all desire- regardless of your relationship status with the deadlift. In doing research for this article I came across an infinite number of tutorials, write-ups, and discussions about the deadlift. Accessory movements, “perfect” form (which is a wholly laughable concept especially in regards to the deadlift), deadlift specific programs, etcetera into infinity. Rather than link a vast list of other author’s or coach’s ideas on how to improve the deadlift what I’ve done is talk to a few of the strongest deadlifters in the country to get their opinion of the lift, how they train it, and their suggestions on how to be a better puller. These guys aren’t great deadlifters because it’s “easier” for them or more “natural” of a movement- but for kicks I’ve included a guy who isn’t “built to deadlift” just to appease the naysayers. It’s because they’ve found a way to increase their enjoyment of the lift. By doing so they then increase a few aspects that are important to training the deadlift, primarily training frequency, and across the board that was their #1 recommendation. We all know that guy who doesn’t train the deadlift and expects his squat strength and ten accessory movements to carry over to improving his pulls. While true to an extent, the best way to add pounds to the bar is to improve lifter’s technique in that specific lift- this requires practice. It seems the deadlift is the only powerlift that is subjected to this backburner mentality. “I already squatted heavy this week. I’ll deadlift tomorrow.” Then tomorrow never comes. Admittedly I was this guy! 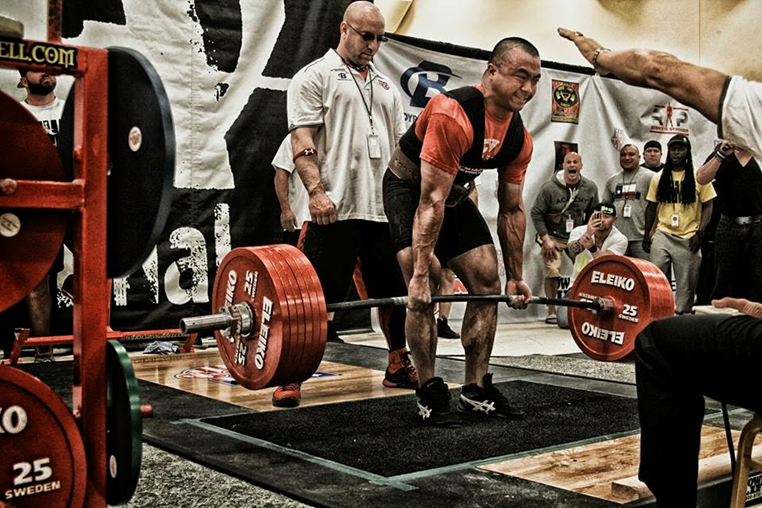 I trained the deadlift, either sumo or conventional, all the way up to a 475-pound pull. Then I decided to spend a few months focused on my squat and what do you know… my deadlift shot up to 530 pounds. I thought I had discovered some magical secret to deadlifting! My secret? To not pull at all! Well, as luck would have it, that obviously stopped working. My squat continued to improve and my deadlift unfortunately remained stagnant. For over a year I spun my wheels and got nowhere on my deadlift because I had taken a big bite of that “don’t train the deadlift” cake. So what then got me from 530 to 605-pounds? Well about 1.5 years and working with different pulling variations to build the weaknesses that were hindering progress on my deadlift. And that was the second consensus among the pullers I talked to. To understand the context in which this recommendation was created I asked them all the same question, “What’s your go-to accessory movement for the deadlift?” Not one of them said, “More squatting” or “glute ham raises” or “direct abdominal work.” It was always something along the lines of deficit deadlifts, paused deadlifts, and band or chain work. All of course depending on how their training itself was set up and where at in their training cycle these variations fit. Kyle’s quote above is directly referencing his time spent doing a conjugate-style of training. 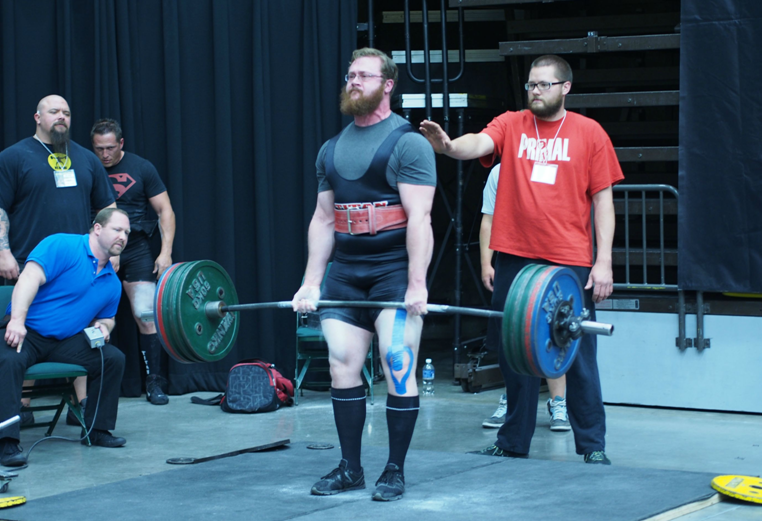 These recommendations provided a helpful insight into how these guys think about the deadlift. To them training the lift itself was the key. This meant always doing a deadlift-type exercise in their training. (Thus recommendation #1) This doesn’t mean they always pulled from the floor or that it was always straight weight. One thing that always remained however was picking up something from below their waist and standing up with it. Think about your accessories as being separated by one, two, or three degrees from your competition deadlift; either sumo or conventional. One degree: They look like deadlifts but are changed in one way. Paused at the knee, maybe from a deficit or off a block, stiff legged, sumo instead of conventional, or with accommodating resistance. They’re doing a deadlift with only one modification. Two degrees: These train the muscles involved with the deadlift in multi-joint exercises. That means moving a load through the full range of motion at the knee and hip primarily. These will train a generalized strength that will translate well to the deadlift. Personally I use squat variations as they fit nicely into this category. Favorites in this category would be front squats and leg presses which help with strength off the floor immensely. Three degrees: These remove the compound aspect of the movements and are usually things like good mornings, glute ham raises, direct abdominal work, and the like. They train a small portion of the range of motion of the deadlift or work only a specific muscle group involved with the lift. These are great for identifying specific weaknesses in the lift, and hammering the hell out of it. These can usually be trained multiple times per week with moderate to high volumes. Know this, the lower your ability in the deadlift the more importance the lift itself has. That means keeping it as pure as possible. Novices focusing on a wide variety of accessory movements, rather than the lift itself, might hinder their progress on the deadlift simply because they haven’t developed their technique enough. That being said, as strength and technique improves the more attention can be paid to the 2nd and 3rd degrees. When is this the case? There’s no solid answer, but should a lifter find become stuck it may be time to start venturing bravely into accessories territory. At any stage of athlete development, whether novice or advanced, my only piece of advice is to never focus too much on that 3rd degree. Focus on first two primarily and you will see progress. Including vast amounts of accessories in your training is a quick way to find yourself in a quagmire of progress. As for the guys I spoke to, many of them agreed that pulling from a deficit was more helpful to improving their deadlift than off of blocks for accessories. Funny thing about that is it seems to be a truism in both powerlifting and weightlifting. Sumo or conventional? Why not both? I have always trained one version of the pull or the other, Sumo and conventional. At first I wasn’t sure why but as my abilities improved and my knowledge grew it all began to make sense. I first got to 405 conventional, then that stalled and I switched to sumo that got me to 435. The sumo then stopped progressing and desperate I switched back to conventional and 455 went up just a few months later. Back and forth in alternating waves this happened and most recently it was my sumo plateau at 535-pounds which drove my change back over to conventional. This recent switch caused progress to continue up to 605-pounds. The different training stimulus from the two versions of the deadlift perfectly complimented one another in the building of my overall strength. That’s the point of accessory movements anyways- to get stronger in another lift in the hopes that will translate well into your main movement. For long periods of time I would grind away at a plateau, get crushed, and make no progress. Then I’d switch styles and continue to train this new version over a long period of time. Each time I’d switch versions the length of time I spent training that deadlift style increased, as did the pounds on the bar. That brings me to the third point they all made clear to me. Training stimulus with the deadlift should be sustainable. Nobody reaches an elite pull simply by pulling heavy all the time. It’s deadlift day. That means heavy singles until failure. Does this sound like you? If so, I hate to burst your bubble but that’s not a sustainable way to train your deadlift. First, what does “sustainable training” mean? In the simplest terms it means you can lift again the next day without impairment. This is true for all lifts, but especially so for the deadlift. I am sure we all agree that of the three powerlifts the deadlift has the longest recovery period. But maybe that’s because we tend to want to pull heavy all the time. And that is why it is hard to recover from, not simply because the lift itself. Of the deadlifters I spoke to they agreed that frequency was huge when pulling. 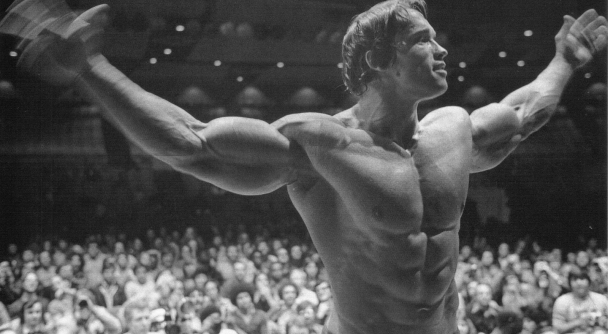 One of them stated that during his best deadlifting days he was pulling up to six times per week! That blew my mind when I first heard it. But as my conversations continued with these guys I began to understand the methods to their madness. If you want to get better at deadlifting you have to do it often. Period. Practice is important and if you’re always cranking out heavy max effort singles you will likely hit that plateau more quickly. These guys aren’t just pulling all the time; they’re also pulling for lots of volume- that means low weight deadlifts. I know, insane right? Deadlifts can be done at low intensities? By doing tons of volume pulling these guys are refining their own technique and finding which way to pull that works best for them. Which form is most efficient and thereby less taxing. They may look like “natural” pullers but that’s because they’ve spent more time pulling than just about anyone else out there. Their technique is perfected because they have spent time crafting deadlift precision. While we’re all trying to pull max singles in LA Fitness to impress some guy or gal these guys are loading 70% on the bar and hammering away at the lift for ten sets. This volume work was mentioned time and again and in many different versions. One would pull 60% sets of 5’s while another would do 2’s or 3’s for ten or more sets at similar percentages. Another would count weekly bar lifts and try to get 75-100 reps of deadlifts in per week at various intensities. When was the last time you did 100 reps of anything besides an isolation movement? Can you imagine pulling that much? Sure it seems impossible but keep in mind these guys gradually built up that level of volume tolerance. They improved their deadlift frequency by making sure they could incrementally build tolerance to higher volumes of pulls. That meant sustainability; adding just one more set or one more rep when they could. Eventually that turned into another “deadlift day” altogether. That’s what yielded my 600-pound in competition pull. After interviewing these guys it dawned on me, sometimes when pulling I just… quit. The lift gets a little hard and rather than grind it out I would just lose motivation, or worse, stop believing I could complete the lift and drop the bar. The problem that arises with this concept is that some people, especially novices, take it too far and try to continue their “max out every deadlift day” mentality and just work on their grind. This is opposite to the lifter recommendations. They’re not maxing out frequently, but when they do- they pull hard. They pull fast! If they’re going to pull heavy it’s going up. Exerting maximal force from the get-go is imperative. If I’m deadlifting and 135-pounds is moving slowly I know it is going to be a rough deadlift day. I mentioned this and Kyle Keough agreed. If however that same weight flies through the ceiling then I know I’m on fire and I know the weights will be crushed, not me. It was that thought which was on the forefront of my mind as I gripped 600-pounds at the International Powerlifting League’s World Championship. “I’m pulling as hard as I can not letting go of this bar until it stops moving. 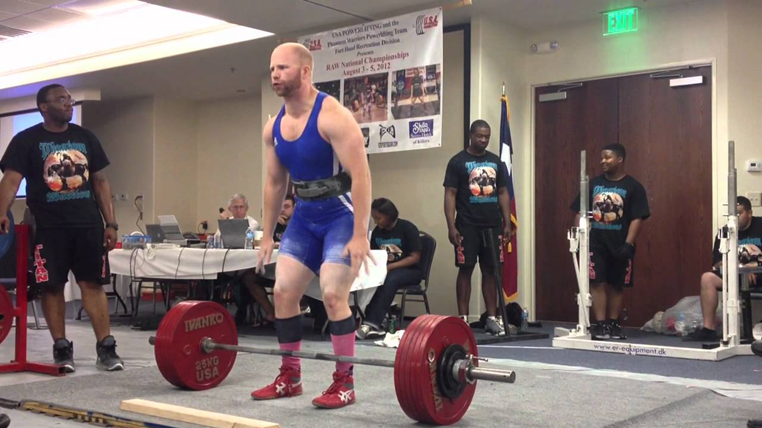 “ It only stopped moving once I had confidently locked it out and completed my first in-competition 600-pound deadlift. Going back to the first few paragraphs of this article I would like to reference one thing that was never directly mentioned during my conversations with these guys but instead was a sentiment that I immediately noticed- they enjoyed training the lift. It was an unspoken understanding. Despite all having different programs, methods, or pulling styles it was self-evident that each of them had that one thing in common. They found a way to implement their deadlift training in a way that was enjoyable and that completely changed their mindset about the lift. 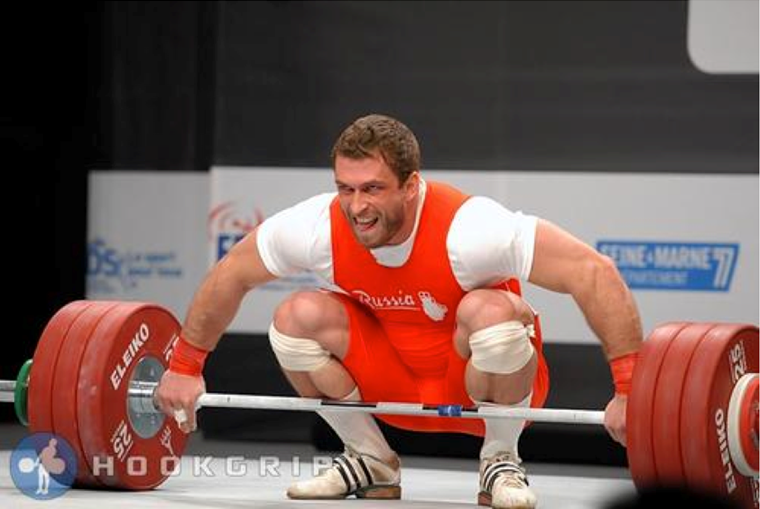 It then became a staple in their training and because of that they became better deadlifters. So that’s my personal recommendation to you. Seemingly a stupid recommendation but that could not be further from the truth. The point is to venture away from all the pre-written programs on the internet and instead find which way you can train the lift to suit your personal needs. Just because you’re running 5/3/1 or Westside doesn’t mean you cannot tailor your deadlift training separately. The structure and progression of one lift’s programming doesn’t have to reflect that of your other lifts. That’s often the problem lifters run into with the deadlift. They try to train it like their squat or bench when instead it could be better trained in a wholly different way. The idea is to find what way works best for you. If you can find how to make your deadlift training more enjoyable you’re going to do it more frequently, with more volume, and see that sustainable progress which will ultimately lead you to ever increasing pounds on the bar! Both Justin and Luigi both recommended using straps when pulling and both specifically used the touch-and-go style of deadlifting. Ironically both of these practices are often lambasted as being “less efficient” for deadlifting. However, look at their results. Justin’s has the prototypical “poor deadlift” build as his lockout is at his crotch and Luigi has pulled 804@216 as a junior! (Two reds in competition but still locked out.) The results speak for themselves. But why does this work for these guys? Well, if a lifter is not weak off the floor but is at lockout it would make more sense to spend more time under tension in that top-end range of motion. Additionally using straps creates less fatigue in the hands and when your hands are tired chances are your training sustainability is going to be limited for a number of days. When attempting higher volume or frequency of deadlifting these might be in your favor to attempt. You won’t know until you try. If you want to have a big deadlift you must have a big back! This means lots of pull-ups and rows. I’ve written on this extensively before but it bears importance enough to reiterate. If the musculature of your back is small or weak it will give way to strain faster than if it were bigger and stronger. Remember, cross-sectional muscle mass plays a huge role in how strong that muscle will be. There are a lot of muscles on your back and just because you can’t see them in the mirror doesn’t mean you shouldn’t be training them extensively. My #1 go to for back training is the chest-supported row. If there was any machine I would marry, it’d be that one. If you have a hard time understanding the concept of pulling fast or explosively using bands for a four week cycle can do wonders for your speed off the floor. I’ve used this with many of my clients who were novices and it immediately flipped a switch on their understanding of what I meant by pull harder. This doesn’t mean you should always train with bands but should you find yourself weak off the floor and deficits seem to not work give banded deadlifts a shot. I’m confident that switch will flip inside of you and your pulls will quickly become more explosive. Take the above recommendations, adjust them to your personal needs, apply them to your training, and I guarantee you’ll see your deadlift improve. Perhaps your weakness is speed off the floor and so you are going to try banded pulls or do more deficit deadlifts and front squats to train your quadriceps and help unglue that bar from the floor. Or maybe your lockout is preventing you from progressing and if that’s the case maybe take the plunge and switch to sumo deadlifts and do higher volume lockout accessories in order to strength your hips and glutes. These five recommendations are what ultimately led me to that first 600-pound in competition deadlift and soon thereafter 605 in the gym. While training these concepts were not of the forefront of my mind but they eventually became clear. Somehow other strong pullers came to the same realizations. It wasn’t until after I spoke to them that I put all the pieces together. If I wanted to be a stronger puller I had to deadlift, I had to do it often, I had to do a lot of it, I couldn’t stop pulling, and most importantly I had to enjoy doing it. That’s how in six years I deadlifted 600 pounds and that’s how you will get there, or beyond that. Cody Lefever is currently an active duty Marine of 9 ½ years and in his free time he reads and researches topics related to strength and conditioning, trains as a competitive powerlifter, and coaches athletes ranging from disciplines in CrossFit, powerlifting, swimming, and many others. 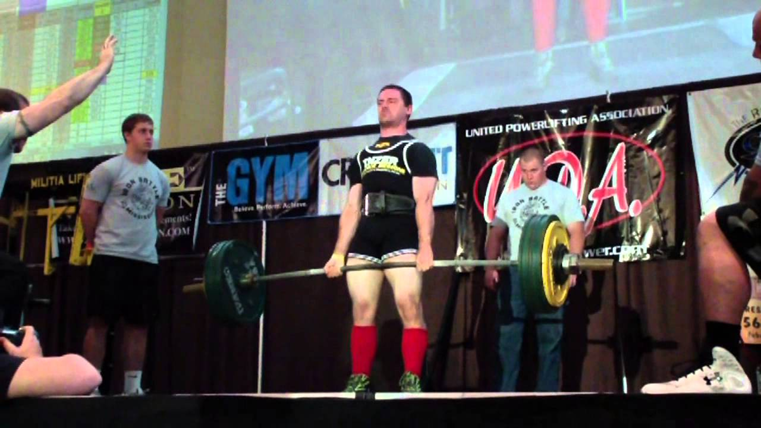 As a powerlifter his best total is 1,432 (501/330/600) pounds in the 165-pound weight class.